Why should I encapsulate my placenta into Remedies? I am often asked why women should Encapsulate their Placenta, and my initial response is usually, why wouldn’t you encapsulate your placenta? Try not to think about the encapsulation process, you don’t need to see your placenta as your birth team will support you in Placenta Encapsulation. Think of an easy to swallow pill, that looks just like any other pills you have been taking throughout your pregnancy. Your Placenta Capsules have been especially made by you, for you. They are natural, organic and your body will absorb all the goodness within. Your Placenta Capsules can nourish your body with your very own nutrients, hormones, protein, and vitamins to help you heal after birth. Not to mention those amazing stem cells and growth factors. Quite simply there’s no other pill that will give you the umph you need in the early weeks after birth when your body is in need of nurturing. How amazing is that! Is Placenta Encapsulation a new Trend? I have been a Placenta Encapsulation Specialist for almost 5 years, and the demand for my Placenta Service has increased dramatically. Women are taking charge of their postnatal wellbeing and not taking any chances when it comes to the baby blues, postnatal depression and lack of milk supply. Many of my clients have suffered from depression and postnatal depression in the past, with their first borns. Some have existing mental health issues, others have antenatal depression. Some clients have struggled with breastfeeding previously due to low milk supply, and some women have just not been able to cope physically. Many of these clients report anecdotally that they have an increased feeling of well being, positivity and increased milk production when taking their placenta pills after second baby. 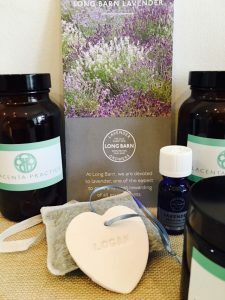 Other Placenta Encapsulation Remedies clients just don’t want to take the chance of not having their placenta made into pills because they have seen close friends suffer with the baby blues, postnatal depression or really struggled with breastfeeding. Why should I choose you to be my Placenta Encapsulation Specialist? Verified by Environmental Health Office for exceeding requirements for health and safety legislation. Available to collect 24 hours a day 7 days a week. Once you book with me I am on call for you and available to chat whenever you have any questions or concerns. Speedy and tracked delivery by UPS in majority of cases. Purpose built outbuilding, used solely for Placenta Encapsulation. Outbuilding is equipped to hospitals standards. Only high quality surgical grade supplies as used by the medical profession are used in the Practice. I can provide a specially designed Placenta Collection Kit. The Placenta Collection Kit has been designed by a leading bio-medical scientist in line with the World Health Organization’s Guidelines for the Safe Transport of Infectious Substances. Is there any research that Placenta Encapsulation Remedies work? What are the nutritional benefits to Placenta Encapsulation? How can my Placenta Pills aid my postnatal recovery?